2018 - INFORMA of the United Kingdom with Key Offices in Dubai has launched GAFM Certification programs in key regions such as Dubai & Abu Dhabi and the UAE. CEO Dr./Jur. George Mentz says, "I first engineered the Certification Training with IIR and INFORMA beginning in 2002. Now that we are accrdited by the TUV and ISO 29990 Certified for Training, we are the first in the world to have accredited certification training." GAFM expands partnership with www.HLTI.org Dr. Mentz and Dr. Shpend Imeri are excited about new offerings in Africa, EU and the Middle East. GAFM is re-accredited by the TUV accreditation agency in Europe. 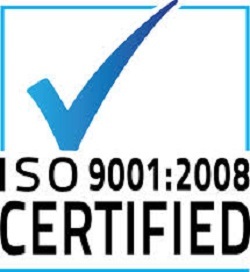 GAFM earns ISO 9001 Quality Certification and also ISO 29990 Training Certification. 2017 - GAFM opens new distribution in Germany, Turkey, UAE, West Africa, Malaysia, Indonesia and Ethiopia.